Expo2015 has opened and while this is a wine blog, I would be hard pressed not to mention the damage done to the city by those protesting the Expo. Many police were injured, protestors arrested, cars sent up in flames and store windows broken. Unfortunately, this is not that uncommon in Italy around large global events. I’m disheartened but not surprised. While I’m on the subject of politics and all that is going wrong, it is certainly necessary to link to articles about the migrants, 700+ who died on a ship trying to reach Italy’s shores within the last few weeks. Again, not a new occurrence but horrific and hopefully European attention will now be focused on this ongoing tragedy. This however is a wine blog and while I would love to be a pundit and expound on my views on everything, I don’t believe that this is the place to do it. 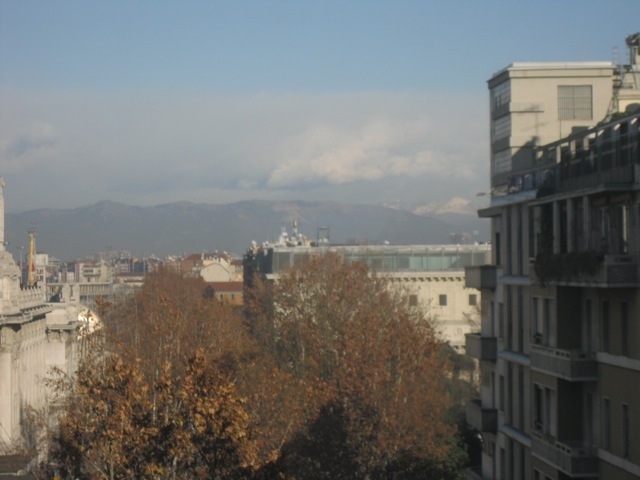 While I’m on the subject of fantasizing – in this case to be a pundit – I’m having a crazy craving to be in Milan now and good to the Expo and walk around those streets I know so well. 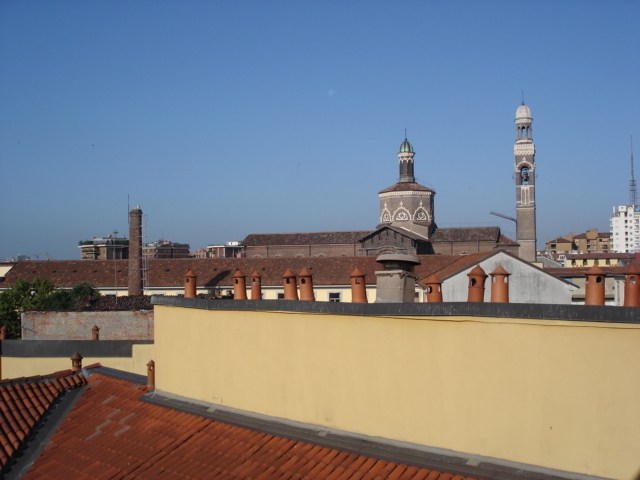 The first street I want to write about is Via Vigevano where I first lived when I moved to Milan in 1995. 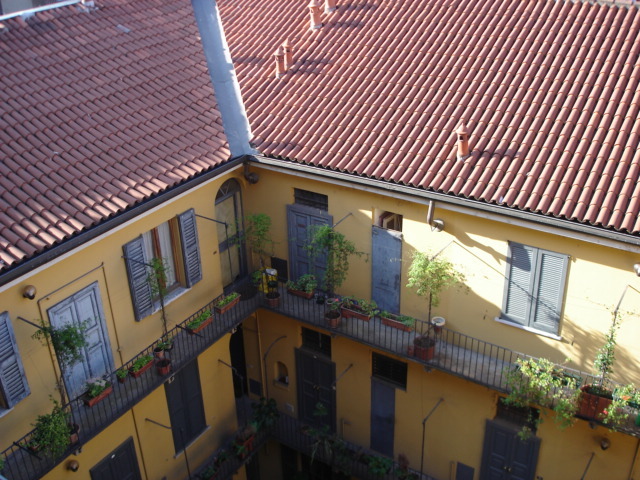 I was living on a friend’s couch at number 9, a beautiful yellow stucco building with an interior courtyard, right behind the Naviglio, a casa di ringhiera – typical of Milan. 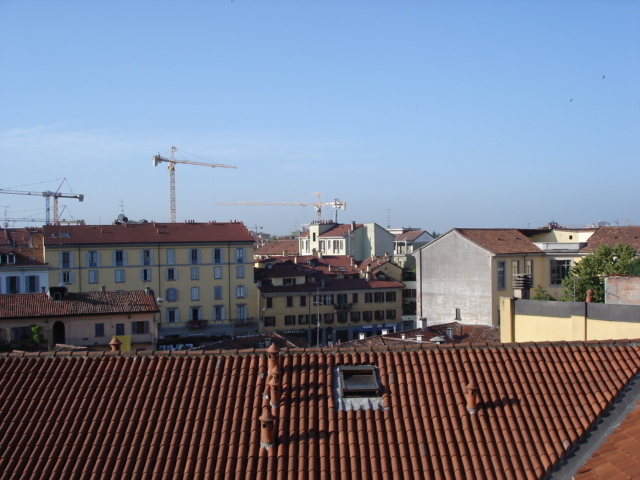 I loved the church bells I heard from the windows and the views of the city’s red roofs. If you are in the city for the Expo, this is a great neighborhood for food and an evening walk around the Naviglio. It’s the scene of the many locals serving the typical Milanese aperitivo as well. My own favorite bar in the area is called Luca & Andrea at Alzaia Naviglio Grande 34 and my favorite restaurant is Osteria del Pre on Via Casale, 4. When one thinks of Milan, they so seldom think of wine but Milan does have a wine to call its very own, San Colombano d.o.c. wine. This is the only DOC wine produced in the province of Milan. It was designated a DOC in 1984. Wines from San Colombano are generally made from Croatina, Barbera and Uva Rara for the reds in order to be part of the DOC. Some international varieties have been planted in recent years as well. For the whites, a number of grapes have been used in addition to the indigenous variety Verdea. The soils in this area are a mix of calcareous soil and sand. The wines they produce are easy drinking wines that complement the local food perfectly. The grapes for production of San Colombano DOC wines must be cultivated exclusively in the Comune of Miradolo Terme and Monteleone in the province of Pavia, Graffignana and Sant’Angelo in the province of Lodi and San Colombano al Lambro in the province of Milano.